As a car owner, it is common to become incredibly attached to your vehicle. A scratch on your car is not just a scratch on a piece of your property, it's almost as if you've been personally wounded. When you see a gash on your car, you immediately want to fix it. 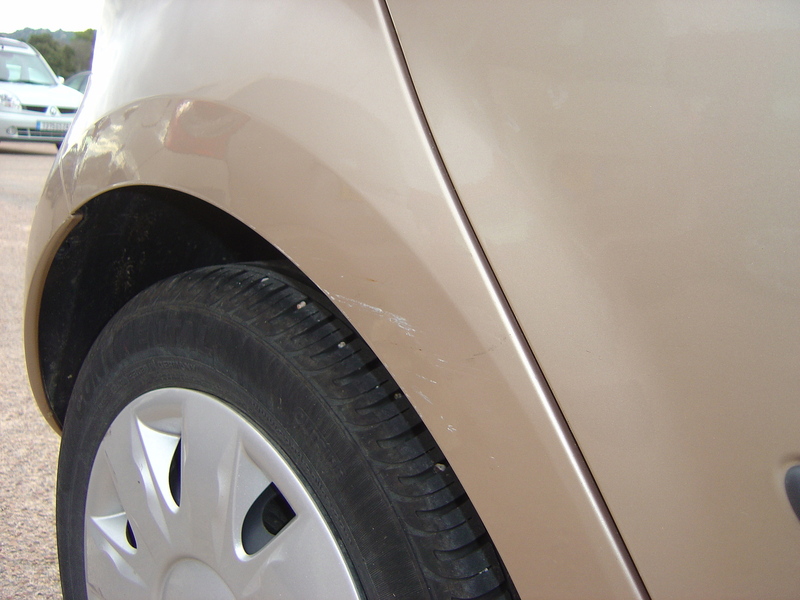 However, many of us don't have the time or money to bring our vehicle to a bodyshop to have the scratch remedied. Thankfully, there is a quick and painless way to fix scratches on your car yourself. Your VIN number, typically found on a small plate at the front of your dashboard, tells you a lot of information about your vehicle, including the original colour code. If your car has not been painted, you can use this information to find the appropriate touch-up paint to purchase. Alternately, your owner's manual may have the same colour information as well. If your car is no longer the factory paint colour, you will have to track down the place where you painted your car or talk to a bodyshop to get the precise colour information. Using the information from your VIN or owner's manual, go to the nearest vehicle supply story and pick up a can of spray-on touch-up paint. After that, drop by an art supply story and get a small artist's paintbrush. Remember, it should be small enough to paint the scratch you're fixing. Finally, get a small amount of denatured alcohol, fine grain sandpaper (2000-2500 grit) and car polish, if you don't already have these supplies. Use dish soap, or degreaser if you have it, and a rag to clean the area around the scratch. This will remove any wax or dirt that could stop the paint from adhering properly. Use a fine grain sandpaper (2000-2500 grit) to sand the area around the scratch. Run a toothpick around the inside border of the scratch; if the paint cracks, remove any parts that could flake. Be sure the entire area is smooth and ready for an application of paint. Use the denatured alcohol and a clean cloth or foam swab to remove paint flakes and dust that the sandpapering may have produced. Cut out a hole the size and shape of your scratch in a piece of paper and place it overtop of the scratch. Spray touch-up paint on the scratch, remove the piece of paper, and use the artist's paintbrush to smooth out the paint over the scratch. Repeat the process until the dried paint is slightly overfilling the scratch indent. Using another piece of your sandpaper, sand around the area to level out the paint. Get yourself a good car polish to buff out any minor sandpaper marks. Buff around the scratch area until you can't see the scratch anymore!